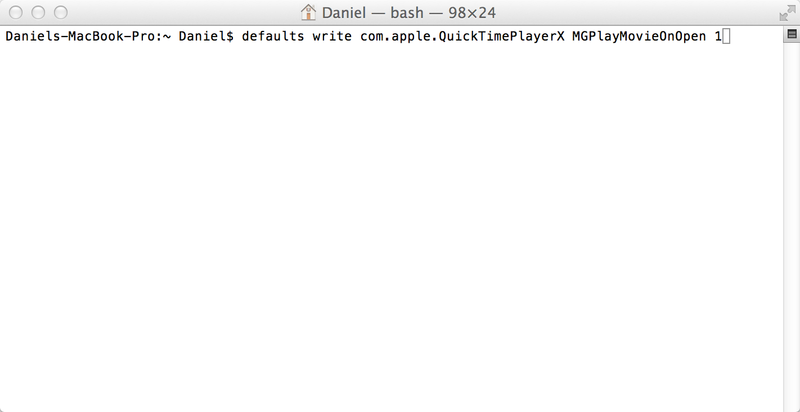 One very annoying thing Apple did with their latest release of Quicktime was for some reason was to take away the Preferences of the app, prevent any type of customisations to be made to settings. This is a pain in more that one way. 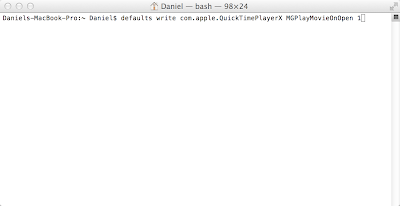 In this case, when you open a video file, Quicktime will open but won't automatically start playing the file. This was an option in the old version, but now no options exist to set this. Your files will now start automatically.